Make funky scarves and beautiful wall hangings to reflect your own style, using hues of the rainbow and objects from nature as embellishments. Learn the entire process of setting up, warping, and weaving your own custom fabric on a Schact Cricket loom. 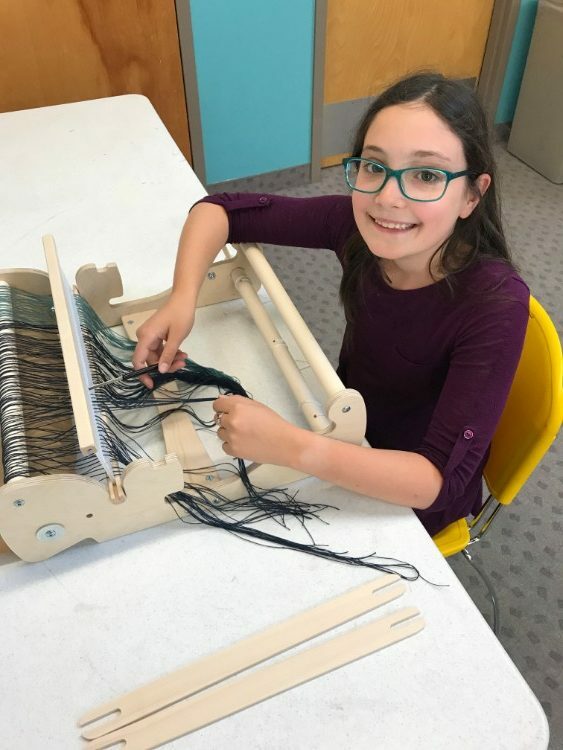 This loom is perfect for beginning weavers—simple, sturdy, and excellent for inspiring creativity and introducing an essential fiber art form!